Wow. I wasn't sure how much I would like The Near Witch, but I have to say - I loved it. Victoria Schwab is an incredible writer. Her way with words is amazing. I wish I could have read The Near Witch in one delicious gulp, and I am planning to do that in the future. It sucked me in so completely that I had to talk myself into putting it down much of the time. I don't often say this, but I cannot think of anything that would make this book better. There was nothing I was unhappy with, no plot point I felt was unexplained, no slower (some would say "boring") sections. I loved all of the myths and stories surrounding Near and the Near Witch. And to make it even more wonderful, the entire book feels like a fairy tale retelling. Even though it isn't, I almost wouldn't want to read the original fairy tale because Schwab tells the story of The Near Witch so well. I loved Lexi's character. She felt so real, with her own strengths and flaws. She never plunged right in without thinking and for the wrong reasons, and characters are likely to do. She seemed so rational that it was refreshing to read from her perspective. I loved discovering, along with Lexi, more and more about the semi-mythological Near Witch, who plays a larger role than one first suspects. And I loved Cole without even knowing why. Even at the end of The Near Witch, neither Lexi nor the reader knows that much about Cole, but there's enough there that I can deem him as perfect as the rest of the story. Enough is revealed that I'm not searching for more depth. There is far more that no one knows about yet, but it's not revealed because Cole is keeping it hidden, not because Schawb is being lazy or underdeveloping her characters in any way. “I reach a nest of homes just south to the sisters' cottage and the center of town. Houses are sparse on the eastern side, as if the villagers lean, like grass, away from Magda and Dreska. I'm cutting through the cluster of houses, thinking over my plan, when a small boy darts out, followed by the muffled protests of his mother. Riley Thatcher. Eight years old, and as sharp as a bundle of sticks, Riley sprints across the yard, stumbles in the dirt, and is up again in a blink. But in that moment, something is different. Missing. He's already heading for another house when I catch sight of the small thing left behind in the weedy grass. I kneel and lift the sisters' charm, the pouch of moss and sweet earth, its cord now broken" (Schwab 175). Do you want to read it yet? There's no way I can describe her writing. I'm no Victoria Schwab. Even though the story is perfect in itself, and I don't want to change a bit of it by adding a sequel, I really hope there is a sequel. To quote Fly By Night, "I don't want a happy ending, I want more story." Overall Thoughts: Wonderful. Perfect. Highly recommended. Language: None that I can remember; If there is any language, it is very mild. Violence: Moderate. The villagers plan on hunting down Cole, the stranger. There are also a few scenes with the Near Witch that are not exactly violent, but somewhat creepy. Witchy books = happy Kim! Thanks for this terrific review, Pica! I can't wait to get my hands on this book. This cover is totally chilling!! I think I might have to cuddle up with some blankets, with all the lights on, to read this one! I think this book ended up on my list due to your review. I was not disappointed. What beautiful use of words. So lyrical. 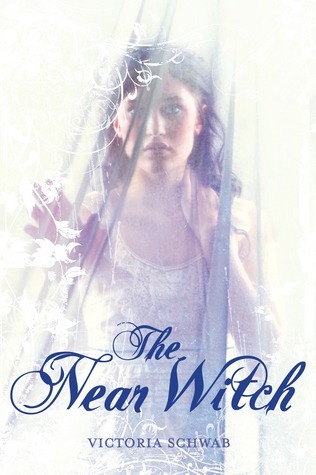 The Near Witch was part ghost story, part love story with a pinch of fairy-telling. Thank you for your review and the recommend.